Central Hotel Tokyo is the closest hotel to JR Shinjuku Station and easy access to the JR lines, Private railway lines and subway lines. The hotel is an ideal hotel for both business and pleasure. It is also close to the shopping and entertainment district of Shinjuku. Refrigerator is provided for added comfort and for your convenience. Bath towels is offered in each en suite bathroom as well. When staying in their rooms, guests will have Cable/satellite television with flat screen and Telephone for entertainment during their stay. Internet access is available at the hotel for all guests to use. Restaurants near the hotel include Cruise Cruise Shinjuku Restaurant and El Torito Restaurant for additional dining options.Central Hotel Tokyo is in the heart of Tokyo meaning you have east access to many of its attractions, like Meiji Shrine. Shinjuku Station is just 0.3 kilometres from the hotel should you need to travel to another area. Haneda International Airport can be reached easily from Central Hotel Tokyo with only 17.4 kilometres between them. With a stay at Hotel MyStays Kanda, you'll be centrally located in Tokyo, within a 10-minute drive of Tokyo International Forum and Ueno Park. This hotel is 0.6 mi (1 km) from Akihabara Electric Town and 2.1 mi (3.3 km) from Nippon Budokan. Make yourself at home in one of the 268 air-conditioned rooms featuring refrigerators and flat-screen televisions. Complimentary wired and wireless Internet access keeps you connected, and digital programming provides entertainment. Private bathrooms with shower/tub combinations feature complimentary toiletries and bidets. Conveniences include phones, as well as desks and complimentary newspapers. Make yourself at home in one of the 6 air-conditioned guestrooms. Complimentary wireless Internet access is available to keep you connected. Bathrooms feature showers, bidets, and hair dryers. With a stay at Guest House CHADAPON TOKYO in Tokyo (Sumida), you'll be within a 15-minute drive of Tokyo Sky Tree and Tokyo International Forum. 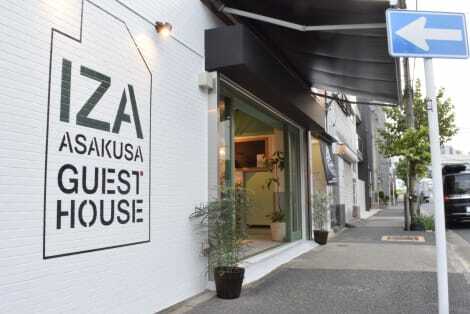 This guesthouse is 2.3 mi (3.8 km) from Sensō-ji Temple and 3.4 mi (5.5 km) from Tokyo Bay.